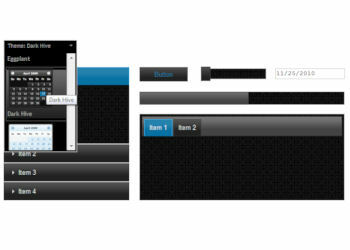 The jQuery UI Theme Switcher Widget is a drop-menu-type theme selector which allows you to easily switch the theme of all jQuery UI objects on a page from one theme to another. This works for all objects/extensions using Theme Roller themes. NOTE: Unfortunately this script no longer works with recent versions of jQuery UI. That is why this extension has been deprecated.